What is CT – Cardiac Calcium Scoring? Cardiac Computed Tomography (CT) for calcium scoring is a screening test for people who have no symptoms of heart disease. This non-invasive exam produces pictures of the coronary arteries to determine if they are blocked or narrowed by the buildup of calcified plaque – an indicator for coronary artery disease (CAD). The information obtained can help evaluate whether you are at increased risk for heart attacks. The findings on cardiac CT are expressed as a calcium score. Because calcium is a marker of coronary artery disease, the amount of calcium detected will give your practitioner more information about your risk of developing heart disease and help guide lifestyle and/or medication changes to reduce cholesterol. Many people only learn that they have heart disease when they have a heart attack. Early detection of heart disease will help you take steps to reduce your risk such as eating a heart-healthy diet, getting more exercise and quitting smoking – all good lifestyle choices to maintain good heart health. $475 Ã? ?Â?MIC offers CT Cardiac Calcium Scoring on a patient-pay basis. The computer workstation that processes the imaging information is located in an adjacent control room, where the technologist operates the scanner and monitors your examination. The technologist will be able to talk to you with the use of a speaker and microphone. 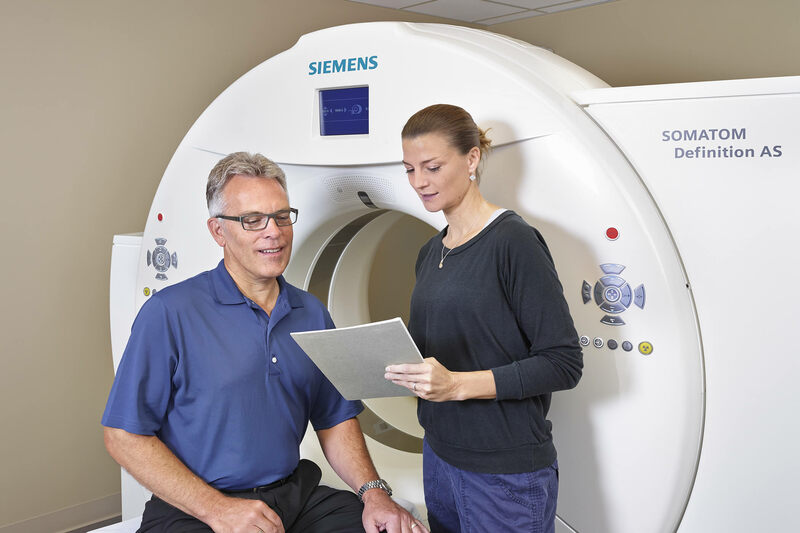 The entire procedure including the actual CT scanning is usually completed within 10 minutes.